Sign Up For Your FREE Church Business Directory! 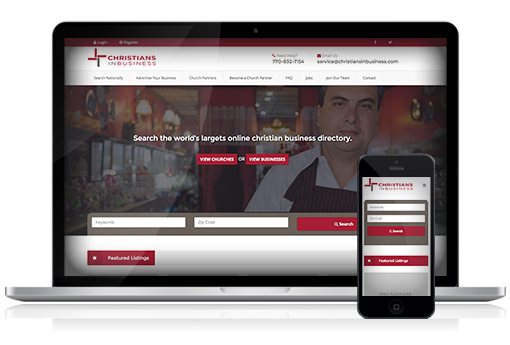 ​CHRISTIANSINBUSINESS.COM will not only host your FREE online church business directory, but it will also give you an immediate communications portal to stay in touch and encourage your business leaders. An exclusive, built-in, employment section helps connect those who need employment with those businesses who need good employees. This is another way to strengthen your church since employed people have more resources to share. If you need more information before signing up for your FREE Online Business Directory Click Here!